Can the Institute of Maltese Journalists protect the media? Justice Minister Owen Bonnici is holding talks with the Institute of Maltese Journalists. Justice Minister Owen Bonnici would like the Institute of Maltese Journalists to be the body officially responsible for the protection of the media. Over a year ago, the government had subscribed to a Council of Europe recommendation calling for a new or existing body to protect journalists. The Council of Europe urged the national authorities “to establish favourable conditions” to review laws, ensure public scrutiny and draw up recommendations by organisations and experts “acting independently of governmental, political, religious, commercial and other partisan influences”. European Federation of Journalists secretary Ricardo Gutiérrez highlighted the delay over a month ago, in the wake of Daphne Caruana Galizia’s murder, calling on the government to set up the independent body. The Justice Ministry has unveiled a revamp of the media law but the Bill does not provide for such a body. Dr Bonnici told the Times of Malta yesterday he would like the Institute of Maltese Journalists to take on the role, adding that talks with the organisation on the matter were ongoing. Dr Bonnici had “hinted” about the move earlier this year in Parliament, when he said he would like an independent body to take over the protection of journalists. He would also prefer were the IĠM to handle the registration of editors and media houses, which is optional under the proposed law, rather than the government. The Media and Defamation Bill provoked controversy when it was first unveiled earlier this year because it required websites to be registered with the government. Failure to comply would incur fines of up to €1,000 and registration could be cancelled after three months of inactivity, it had suggested. The Bill was, however, revised and registration is now optional. 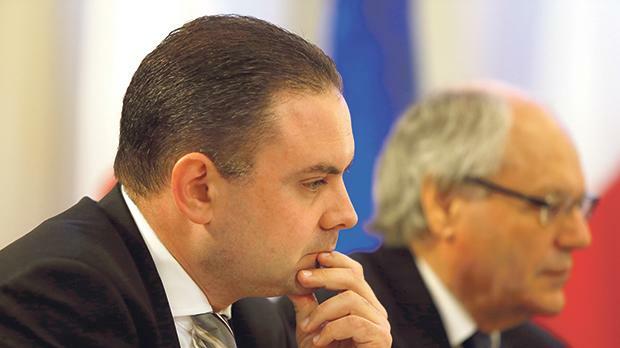 The IĠM called for more resources if it were to assume the recommended role, Dr Bonnici said. He pointed out that this was a tricky question because if the government supplied such resources the institute might be deemed to be losing its independence. Meanwhile, Dr Bonnici also said he had just had a meeting with Italian Justice Minister Andrea Orlando on the possibility of the two countries working closer together to create a front against organised crime.